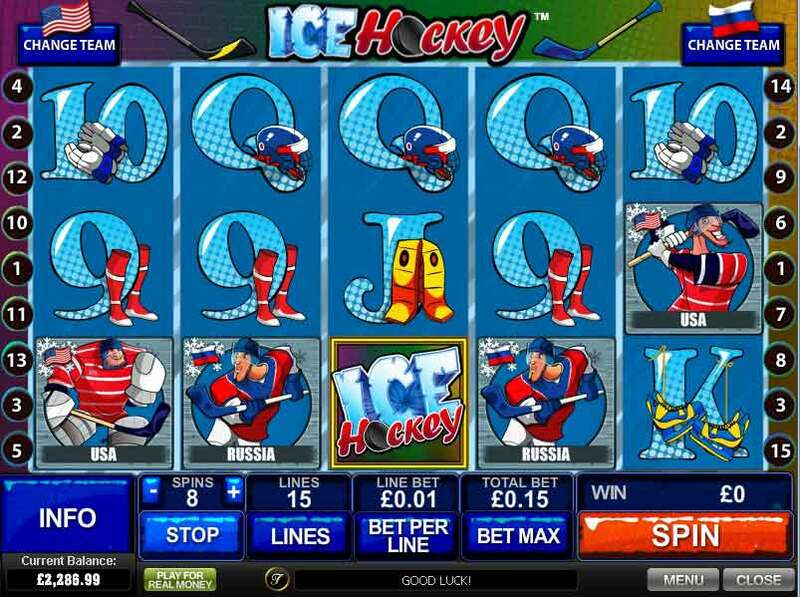 The object of Ice Hockey is to obtain a winning symbol combination by spinning the reels. 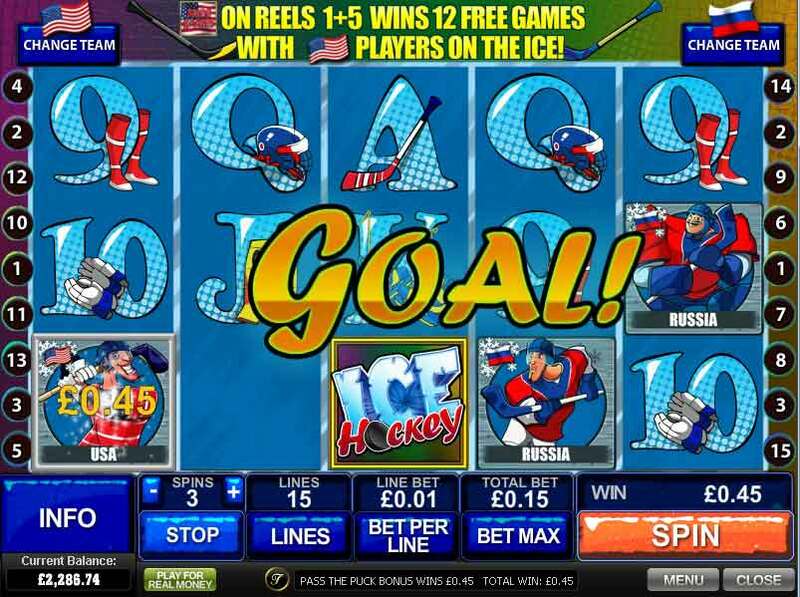 Another activity packed sports themed online slots game from Playtech. This one takes international Ice Hockey to a new level. First choose your team and try to score as many goals as possible. There are FREE SPINS available along with a great bonus game. Get 12 FREE SPINS or take the PASS THE PUCK bonus for quick cash wins.